Published by Pan Macmillan on 12th April. Who knows when a killer will call ? Eleven months after discovering a brutal double murder in a sleepy Northumbrian village, Detective Chief Inspector Kate Daniels is still haunted by her failure to solve the case. Then the brutal killing of a man on Newcastle’s Quayside gives Daniels her first case as Senior Investigating Officer and another chance to get it right. When Daniels recognizes the corpse but fails to disclose the fact, her personal life suddenly swerves into her professional life. But much worse, she is now being watched. As Daniels steps closer to finding the killer, a killer is only a breath away from claiming his next victim. Remember this striking book jacket – you’ll need to be buying a copy in a couple of days if you want in on the ground floor with a great crime debut from Northumberland based author Mari Hannah. In Kate Daniels we are given another great crime fiction ‘tec, one who has all the challenges of developing her career in a mainly male dominated world, whilst juggling the pain of the discovery of the first two bodies, relationships within and outside of the job, and her own sexuality and how she is perceived by those around her. A very tightly woven plot and clear procedural storyline keep the pages turning and the use of short sharp snappy chapters (100 across the 450 page tale) ensures that the pace is quick but never rushed. I really enjoyed the supporting cast and am so pleased to have read that currently Mari Hannah is working on book four featuring Kate Daniels – so there’s lots more to come from both these new ladies of crime. It’s testiment to the writing that the death of a relatively minor character had me wanting the phone number of her partner to meet and buy him a beer to help him deal with his loss, and yet the line that delivers the blow of the news is just so simple, uncluttered, and perfect. At just shy of 100 pages from the end this evening, I left the house (which was empty) and took a mug of coffee up to my writing shed, not wanting a single interruption when the family came home to spoil the end of the book for me. It worked, it worked a treat. But, as I found myself tweeting afterwards, I really did spend those hundred pages chewing my nails as the pages turned towards the end of the story. 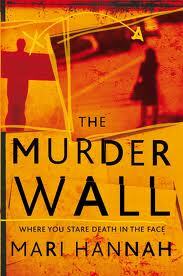 If I had one negative to say about ‘The Murder Wall’ it would only be to express disappointment that we had to wait that bit longer in the UK to read it, whilst those in Germany got it first…..but like all good things, it was worth hanging on for. Roll on November and book 2: Settled Blood. 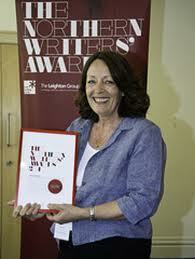 And you can meet Mari Hannah this year at Crimefest in May and at the Harrogate Crime Writing Festival in July.